The Ohio State Fair kicks off today, and with the opening of the gates comes a lot of fond memories. If you grew up going to the Ohio State Fair every summer, there are a few things that probably defined your childhood. For me, it was racing down the massive slide or eating funnel cake on the sky lift. So what about everyone else? We asked via social media, “You know you grew up going to the Ohio State Fair if…” and the responses brought a wave of nostalgia crashing through the office. “You think you can eat one more deep-fried Buckeye, but you immediately regret it when you get on a ride.” -Madeline K.
“You have at least one family photo where everyone is in old timey pioneer clothing…” -Jesse M.
“You think your cat is saying ‘Butter cow’ instead of meowwww!” -Tiffany H.
“You have a planned route you follow every year marked by things you HAVE to see and the things you ALWAYS eat along the way. Unless it rains…” -Cassie H.
“You rode the hay wagon all the way from the back of the parking lot!” -Sara M.
“Your favorite exhibit is the scarecrows. (I can’t be the only one right? )” -Cassie K.
“You head straight for the Schmidt’s stand to get a giant cream puff!” -Shelby M.
“You thought Smokey the Bear really knew your name!” -Sarah T.
“You know that ladder climbing game thing is for suckas…. (but a small part of you thinks you could do it… )” -Jesse M.
“Your folks told you to meet at the Cardinal at the end of the fireworks!” -Kevin K.
You left the fair tired, happy, and ready for next year. 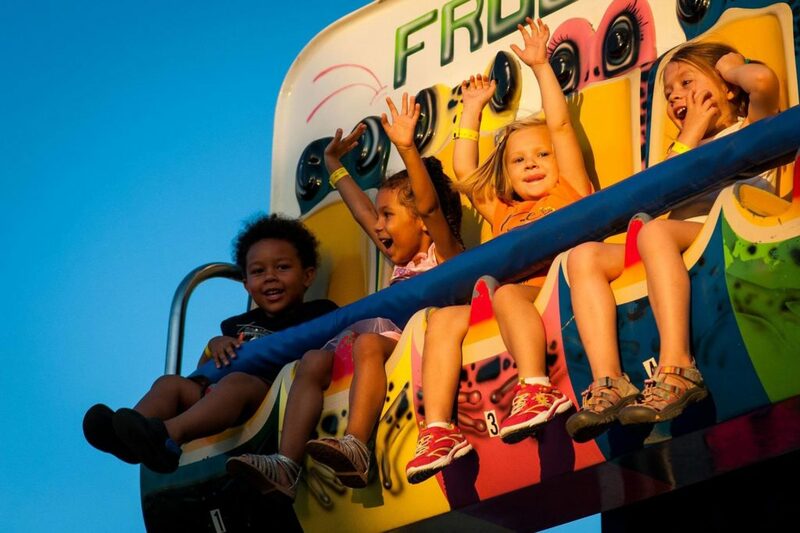 What are some of your favorite memories of the Ohio State Fair? Tell us on Facebook or Twitter!